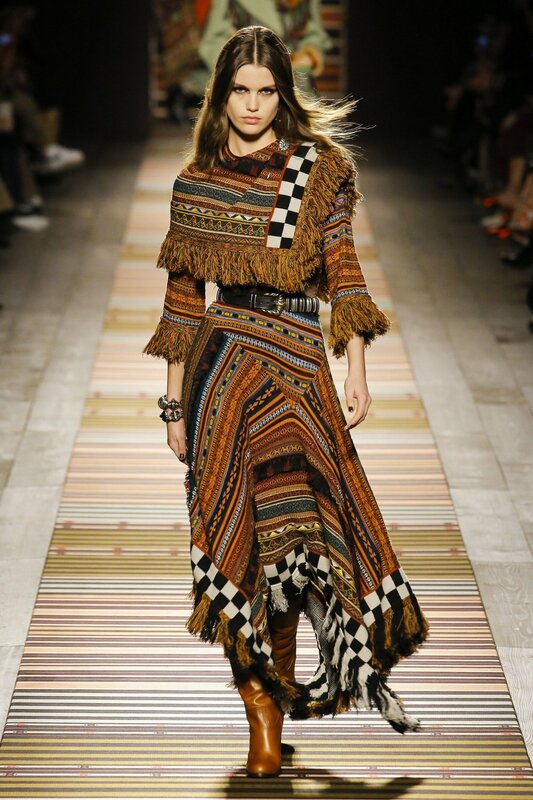 This trend just says to mix patchwork, quilting, and crochet with a folklore spirit to me. Here I did this trend with the patchwork and folklore feel. I love this dress from Zara. It is a great price and can take you to lots of different occasions. With this trend you can also incorporate a lot of knitwear. I love knit everything….it’s cozy, warm, and full of rich texture. It pairs with everything from dressy to casual and goes everywhere from a lazy afternoon to a night out. Knits just aren’t just for sweaters this season. You can go get knit dresses, coats, skirts and more….bring it on!